57 Films and Qingdao TV have previously collaborated on ‘Chef Exchange’. South Australian production company 57 Films is set to join forces with China’s Qingdao Broadcasting and Television Station to develop Soccer Swap, a TV series that will follow a soccer comp between an Adelaide under-14s team and a youth team from China’s Shandong province. It’s not the first co-production between the two companies, having previously produced Chef Exchange together, later re-broadcast in special versions for China Central TV (CCTV) and Channel 9 Adelaide. Chef Exchange followed Adelaide chef Jock Zonfrillo and Shandong chef Qu Jianmin as they explored each other’s food, culture and customs, and an MOU is soon to be signed for a second season. 57 Films also partnered with Ciwen Media recently on Speed, the first Chinese TV drama to shoot in Australia, and made the The AFL Show for CCTV. Soccer Swap will film in Adelaide and Shandong next year, with 57 Films, the South Australian Film Corporation and Adelaide United Football Club meeting with reps from Qingdao TV this week to work on plans for the shoot. 57 Films founder Paul Ryan will lead the series’ development along with producers Nicole Miller and Tao Yu. 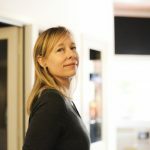 South Australian Film Corporation CEO Annabelle Sheehan said 57 Films had a unique expertise, and that the agency was pleased to be able to support the professional growth of their team. “Soccer Swap, like Chef Exchange, will be an amazing record of the relationship and fascinating cultural connections between South Australia and Shandong – all showcased to China and the world,” she said.